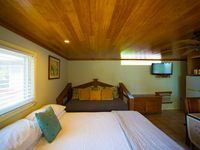 The Polynesian Cultural Center, located on Oahu’s northeastern coast in Laie, is Oahu’s number one paid visitor attraction. 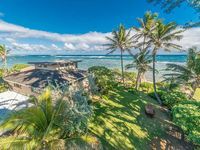 In a nutshell, it is a 42-acre (170,000 m²) open-air park, a living museum, which showcases six Polynesian island nations and cultures in traditional villages and exhibits. By walking through this park, you can learn about six Polynesian cultures in just one day, without having to fly across the Pacific. The featured Polynesian islands include: Fiji, Tonga, Samoa, Aotearoa (Maori New Zealand), Tahiti and Hawaii. There is also a special Rapa Nui (Easter Island) exhibit. Activities and demonstrations take place throughout the day. 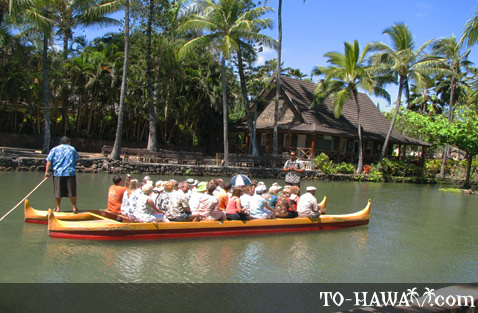 As you visit each village, you can take part in traditional arts and crafts, view dance performances, visit educational exhibits and displays, take a canoe ride through the park’s lagoon, get a removable Polynesian tattoo, take a tour of the nearby Mormon temple in Laie, learn to dance the hula, and much more. 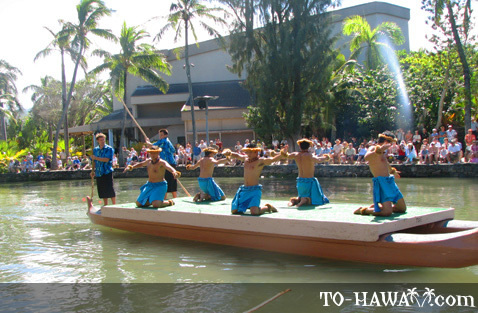 At 2:30 pm you can watch the Canoe Pageant, a dance performance that takes place daily in the Center’s lagoon. Watch how island natives perform dances in traditional costumes on double-hulled canoes. The Polynesian Cultural Center also has a 600-seat IMAX™ Theater, currently featuring the movie Hawaiian Journey, shown twice daily on a huge screen measuring 65 feet high (19.8 m) and 93 feet wide (28.4 m). The movie is an impressive, big-screen tribute to the splendors of the Hawaiian Islands. 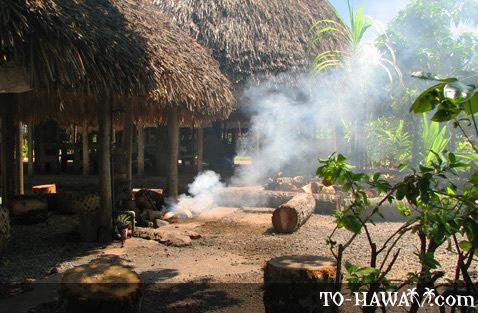 The Center is also known for its award-winning Ali'i Luau, a traditional Hawaiian feast, which starts at 5 pm. 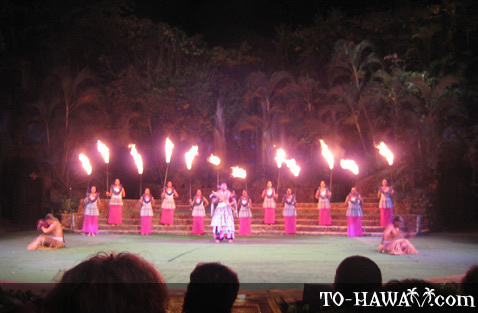 Great entertainment and great food - two things that make this place the best luau on Oahu. 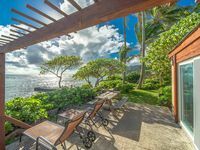 This is your chance to try traditional Polynesian fare, including lomi lomi salmon, kalua pig (roasted in an underground oven), mahi mahi (island fish), haupia (coconut pudding) and poi, an island staple made from taro roots. If you have less adventurous taste buds, continental American foods are available as well. Besides the luau, visitors can also opt to dine in the Center’s restaurant instead of participating in the luau. The day is topped off with Hā: Breath of Life, a 90-minute award-winning night show, which takes place in the Center’s 2,800-seat Pacific Theater. 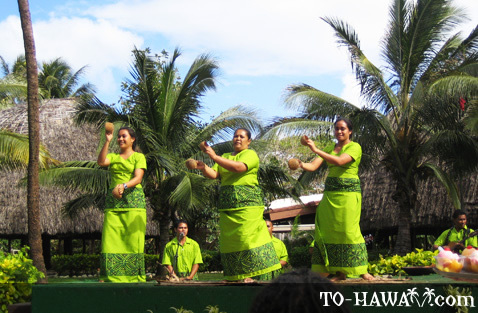 The Polynesian Cultural Center is the only place on the island that casts more than 100 performers nightly. 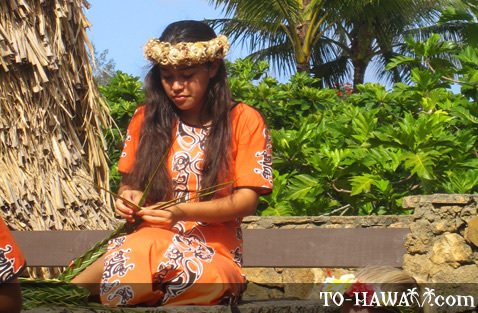 The Polynesian Cultural Center is open Monday to Saturday (closed Sundays, Thanksgiving and Christmas holidays). Other blackout dates may apply. The parking lot opens at 11:45 am. 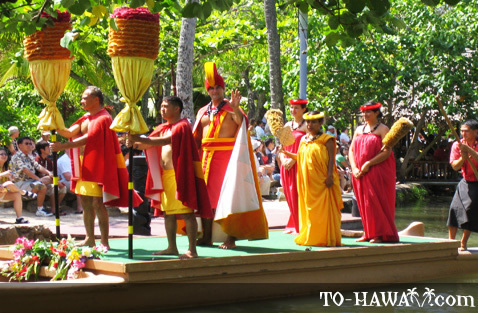 Island tours and cultural presentations begin at 12 pm with other island activities spread throughout the afternoon. The island villages close at 6 pm. The luau begins at 5 pm and the Horizons night show begins at 7:30 pm. 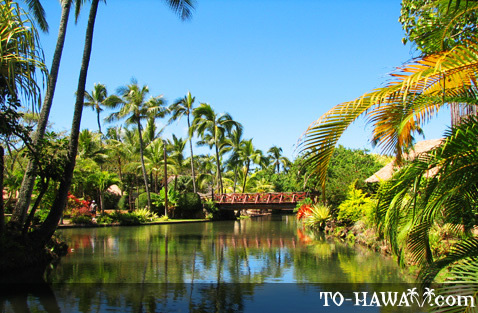 Directions: The Polynesian Cultural Center is located in Laie on Oahu's northeastern coast. 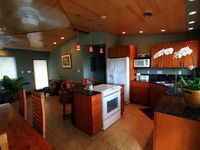 It's a 35-mile drive from Waikiki and Honolulu. From Waikiki, take the H1 freeway west until you reach the Likelike Highway (63) Exit H1 onto the Likelike Highway (toward the mountains) and stay on it until you pass through the tunnel and emerge on the windward side of the island. Exit Likelike and drive onto Kahekili Highway (83) north. 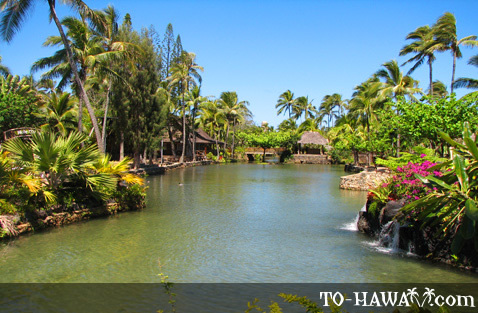 Right before the town of Laie, you will see a large parking lot of the Polynesian Cultural Center on your left. You can also take city bus number 55, which leaves from Ala Moana Shopping Center. 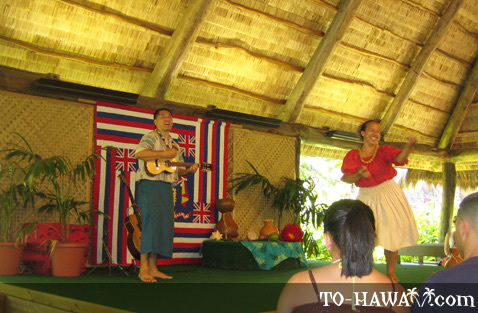 We had a wonderful experience on our return visit to the Polynesian Culture Center (June 10). This was our 2nd visit. This visit was very special as I am semi-handicapped - meaning i walk very slowly. In our group was a lady in a wheelchair. Our cultural guide was a young man named Wes. He was so kind--treated we old ladies like he would his grandmother. He was never impatient with our slowness; always saw we had a front row seat; helped us on and off the bus always with a great smile. He entertained us with songs and stories. He told us he was studying to be a doctor--what a great bedside manner he will bring to that profession. I cannot tell you how special he made our experience. He is a jewel for your business. Grace and Tripp Corrick, Overland Park, KS. 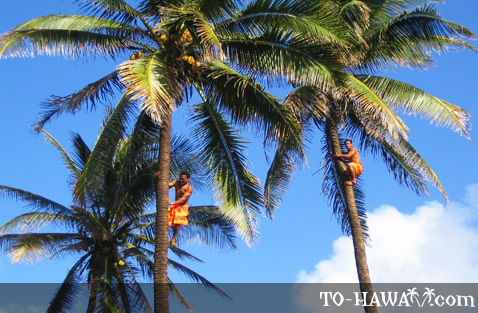 Great place for cultural shows from around the world you will learn how to husk cocnuts and make coconut cream, eat poi at the luau and roast pig,see men climb coconut palms,it was a great time but not opened all day so not alot of time to see it all. My family and I had a great experience at the Polynesian Cultural Center. My kids were fascinated by the IMAX movie and my husband and I absolutely loved the luau. They even have purple dinner rolls, made of taro. I didn't even know there's something like that. But they're delicious. The night show was awesome too!